Whether you want to learn to surf, rip in waves or just paddle around your favourite waterway we can help you get out on the water and into the right gear. Whatever you want to call it – Paddle surfing, Stand Up Paddle surfing, Standup, SUP surfing or Beach Boy surfing, this section is dedicated to the ‘pure stoke’ that we simply call – Paddle Surfing! Paddle Surfing adds a whole new dimension to riding waves, or just exploring our great coastline. With a big fitness benefit, Paddle Surfing has plenty of people (including our top surfers) learning a whole new way to play in the ocean. 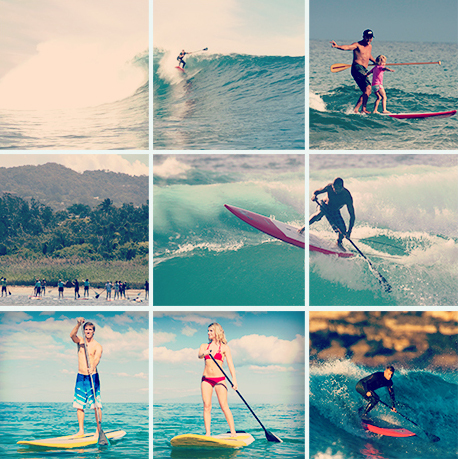 Paddle Surfing offers a major ‘all-body’ workout which is low impact and heaps of fun. Private lessons are available for groups of 4 or more people. Please call 9932 7000 to book.